In the wedding industry we are blessed to share our days with amazing couples in amazing venues. We have had the opportunity to shoot around the United States and local iconic places like the Indiana State Museum, The Rathskeller, and the Gulf of Mexico. Closer to home, we can't forget the amazing venues the Kokomo area has to offer such as Bel Air, St. Patrick's Cathedral, Kelley Agricultural Center, and even a corn field or two. Every now and then, we get to work with a vendor who takes it to the next level and David Shuck with Audio Inferno LLC is one of the best DJs we have every hd the privilege of working with. David - "The Entertainer!" 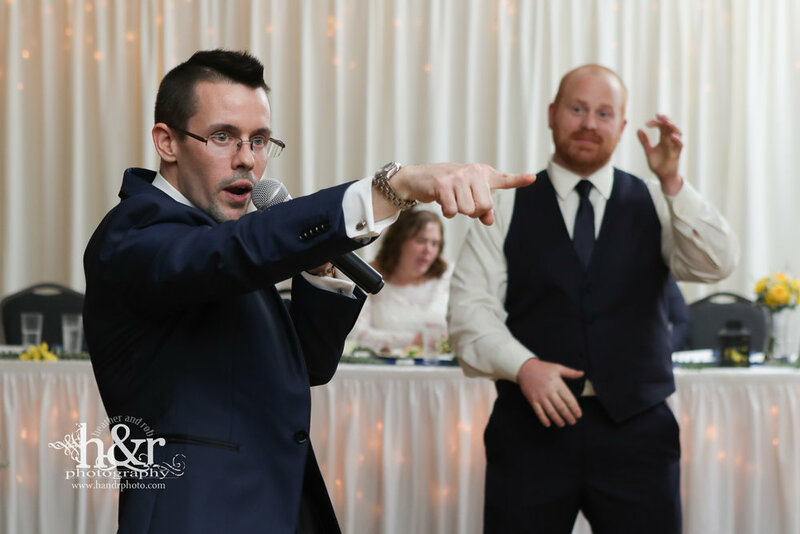 David takes his role of DJ to the next level when it comes to running a reception. There are DJs that play music and announce when the cake is going to be cut. 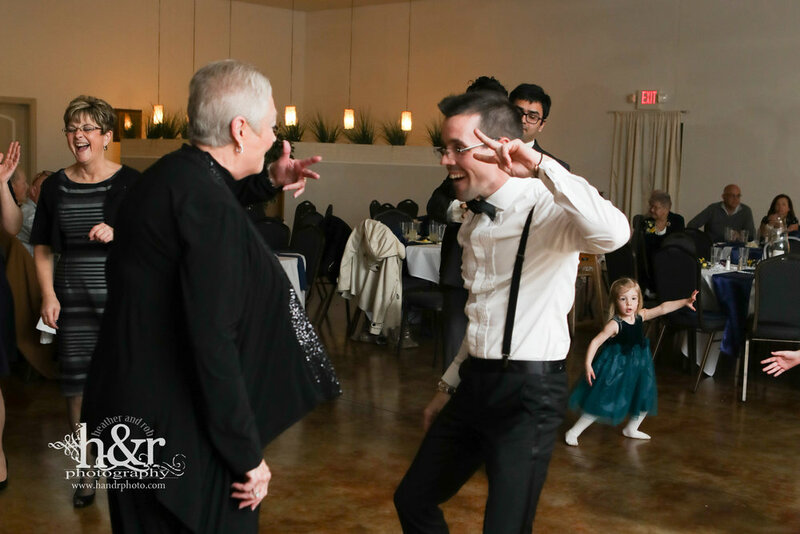 David drives a reception like none other! When it comes to getting the room excited and in the mood he is the man. Everything from getting on the dance floor to demonstrate the songs to contests to get the crowd into it....David does it. Equipment for all occasions! David has the complete set up for any event and any space. If you need special uplighting to spruce up the room or multiple set ups for an indoor outdoor ceremony/ reception he has it. I have never seen a DJ roll up with so much equipment. A true testament to his dedication to his craft. 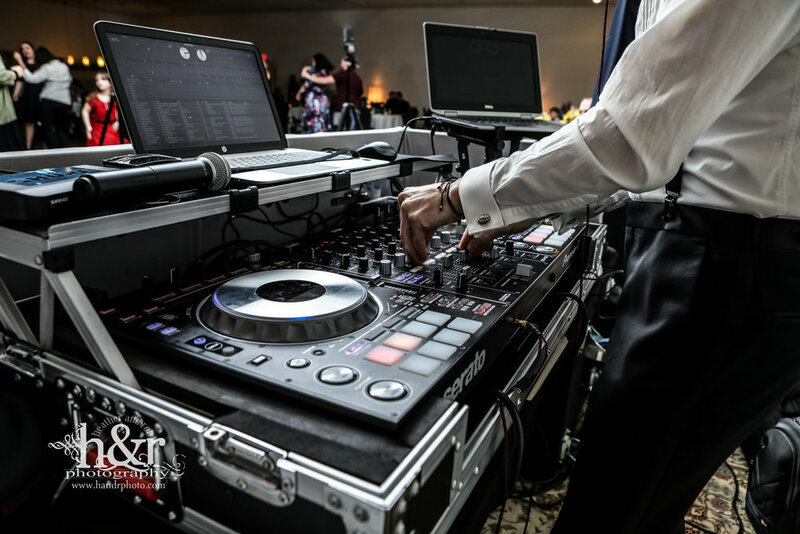 If you are looking for an amazing DJ for your next wedding or event look no further! You can contact David at 317-407-6109 or check him at at www.audioinfernollc.com.